I wish I could say I'm one of those morning yoga-on-the-beach Instagram girls but in all honesty I'm more of an eating-breakfast-with-my-eyes-closed kind of gal. Before September takes a third year dump on my doorstep, I'm trying to get my body and mind ready for the hard work to come! 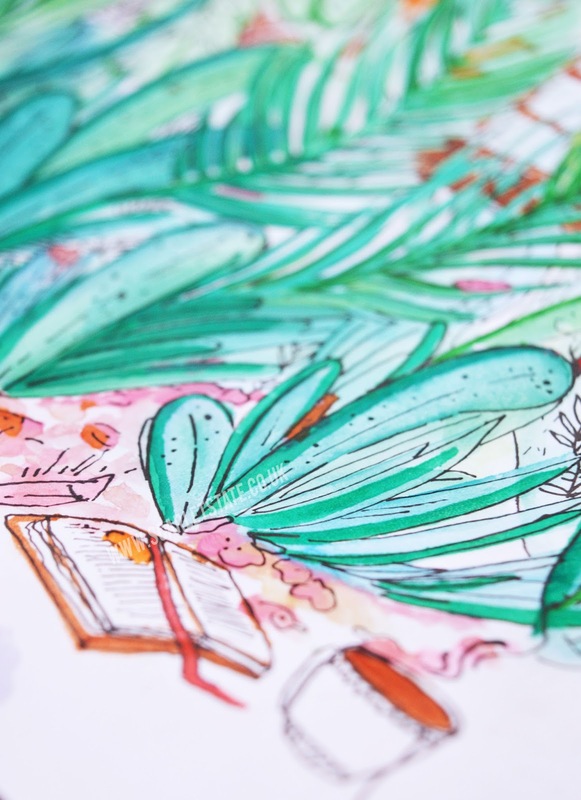 It's so easy to be so busy that you miss breakfast before class, or struggle to find on-the-go snacks that keep your energy levels quietly buzzing while you work away. This happens to me too! So when Forza offered to let me try out their new products I said yes! I believe to live well you've gotta eat a balanced diet and supplement your vitamins, minerals and nutrients where necessary. Every morning for the last three weeks I've been taking Forza's multivitamin*, made just for us gals, woop! with a tall glass of water (important) to kick start the day. 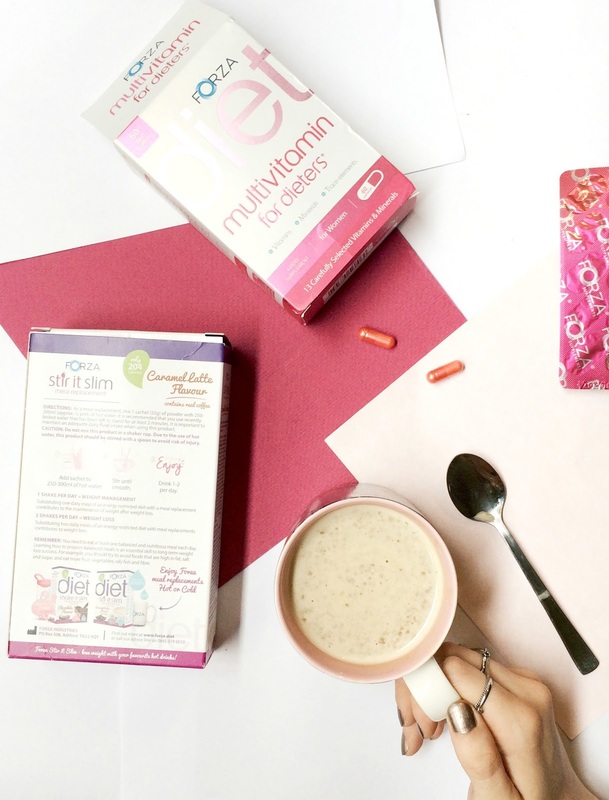 The capsules are easy to swallow, full of vitamins C, K, B and D which contribute to maintaining healthy bones, gums, skin, and a strong immune system. They're also loaded with Zinc, which helps to maintain hair, nails and compensates for the Zinc I might miss from not eating a meat eaters diet. I've actually noticed that my nails have been in the best condition lately! They used to break a lot and I'm no stranger to the 'double nail', you guys ever get those? I always, always get freshers flu (damn you university!) so I'm excited to see if for once I won't get sick come September with the boost these lil pills have given me! The proof is in the parties. See here on surviving your first year! Also in the mornings I love to do a little Pilates, whenever I get the chance or can be bothered. Just simple exercises that use body weight to build up and tone muscles. Doing it in the morning (I'm told) helps contribute to regulating your metabolism throughout the day and always gives me a boost to beat fatigue. 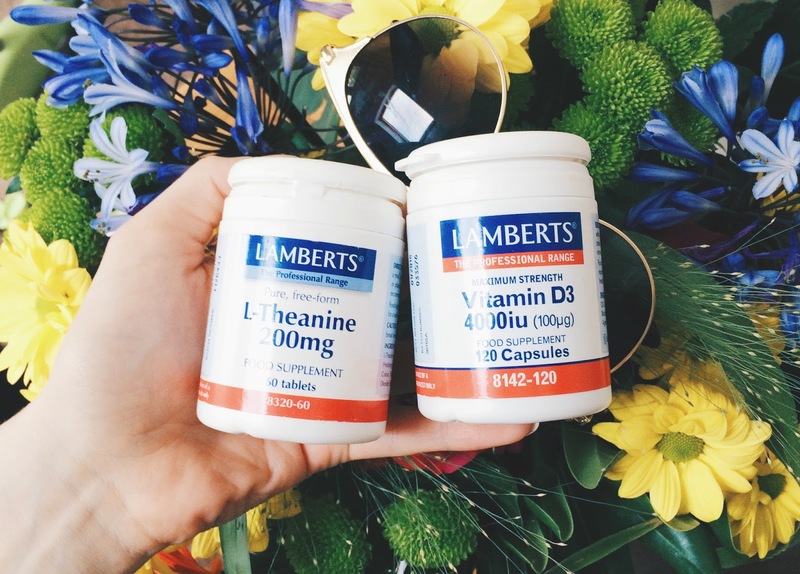 For fatigue and happiness I take one L-Theanine tablet every morning too (you can take up to 3 a day and they naturally boost my mood, so good) and Vitamin D for tiredness. 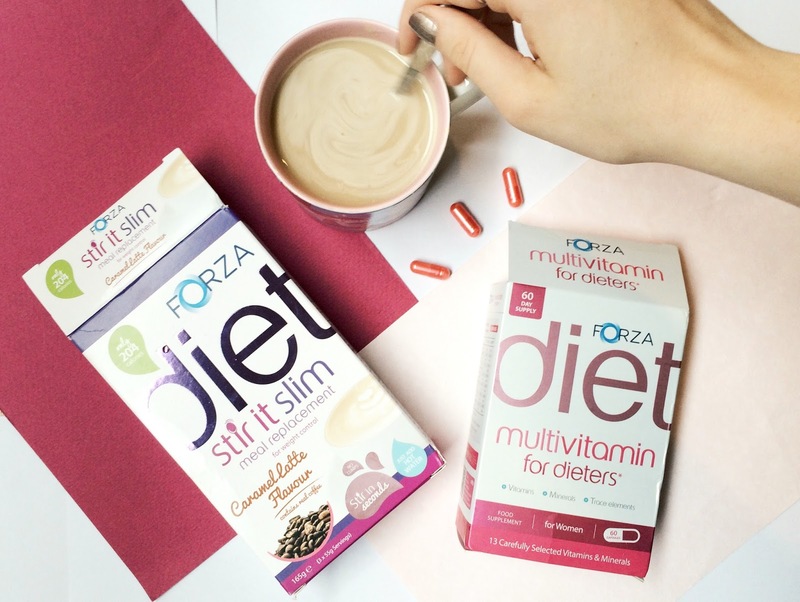 If I miss breakfast or need a snack that's loaded with protein, I have one of the Forza's stir it slim caramel lattes*. They're so thick and honestly taste amazing, like caramel wafers you buy at coffee shops to go on top of your americano. I found, and my boyfriend found after stealing one for his pre-work breakfast, that they're super filling even half way through. I wouldn't recommend replacing or skipping meals, ever, but I can see how these help people who can't always get their daily nutrients from food to maintain weight. The only bad thing I'd say about these is that they're pretty packed with sugar- great if you're drinking one for breakfast as the sugar can burn throughout the day but you might have a sugar crash a few hours later. The best thing about these products? They're all frickken VEGGIE. They're actually Vegetarian Society Approved which is amazing. I really hope other companies make the change to cruelty free remedies too, there really is no point in not being CF when it's possible to make products like this without cruelty. Oh, and it would be awfully hypocritical of me to say that I'm happy with my body in my eating disorder recovery post and then go on a diet- so I'd just like to reassure you that I am NOT dieting and never ever will. A gal's gotta maintain somehow, right? What do you do to stay healthy? Do you take any supplements, are you vegetarian? *These products were sent to me by Forza but as always all opinions are my own! See my disclaimer for full deets.